Ei Shomoy Bengali Neews Paper Theme Song Lyrics. Directed by Sujoy Ghosh. 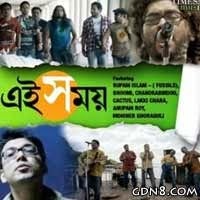 Lakki chara, Fossils, Cactus, Moine-er Ghoraguli And Anupam Roy. Aaj amader shomoy, Ei shomoy..